Whilst reviewing my list of movies for the updating, I remembered that Netflix and Starz parted ways earlier this year shrinking the list of options of movies available on Instant. Many are now only available on disc which can be procured through the mail. This is fine, unless you have more movies on your list than you get at a time depending on your plan. I decided to meander on over to Amazon.com to see what the prices would be if you wanted to buy some of the movies if they weren't available on Netflix at all and you were just dying to watch them. This luckily, brought me to a lovely new option of Amazon Instant Video. I knew that this was available and that you can also rent movies and TV episodes on iTunes. However, what makes this option enticing is that there are a few given movies that you are able to stream for free to a variety of devices (PS3, XBox 360, Kindle Fire HD, Roku, PC, etc.) provided you have an Amazon Prime membership. I signed up for Amazon Mom awhile back and this comes with Prime, so there's a few I may have to take advantage of. I've listed the price with each Amazon Instant Video option and unless it is otherwise stated, they are the price for renting. 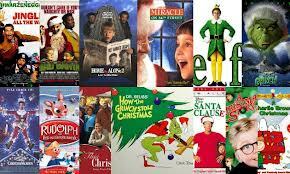 Enjoy your movie watching and gearing up for the holidays! I love all these movies and am really excited to watch them (we'll see how many I actually get to) while decorating the house, trimming the tree, baking deliciously sinful treats, and most importantly, wrapping gifts. I hope all the links will help you out. I know I hate searching for things and it's nice to have a database of it all in one place. Consider it my Christmas gift to you all. Now, if you don't mind passing the popcorn, I need to get started.